Our Latest Obsession: Blue Topaz Rings! 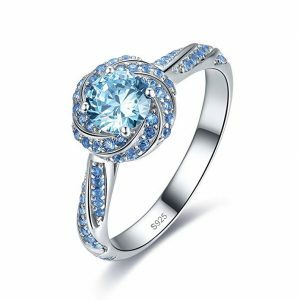 Blue topaz rings are the latest trend to take the fashion scene by storm. Blue, breathtaking and beautiful, these deep blue rings definitely embody that all important sparkle. Whether you prefer your ring with a striking standalone stone or love the idea of your gem accessorised with dazzling encrusted diamonds, the blue topaz ring is here to stay! What does a blue topaz look like? This flawless gem in its purest form starts off life as a white topaz. The impurities within the stone are then what allow it to transform from a white colour to a deep blue. To explain simply, the level of chromium and iron in a topaz stone determines its color, which allows the color of the gemstone to change from white to blue. This transformation takes place by putting the white stone through intense heat and irradiation, turning it into a beautiful blue topaz. Clever isn’t it? It is however, important to point out that sometimes you can uncover a pale blue topaz in its original form. They are very rare (and usually very expensive to buy!). Either way, if you’re lucky enough to find one of these rare beauties in its original pale blue form or own a topaz stone that has been transformed from white to blue; you’ll be very pleased with your purchase. 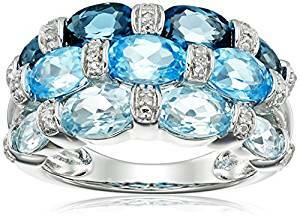 Interestingly, the blue topaz comes in a selection of shades – cool Swiss blue,, baby Swiss, pale sky blue and deep London blue. One thing’s for sure, we can guarantee you’ll have no problem picking out your favourite amongst this star studded selection. On a deeper note, wearing a gemstone ring like the blue topaz is known for helping to fight off negative and chaotic ores and channel a more relaxed energy. These powerful stones can also calm your nerves and heel some unlucky feelings of hurt, making them very good for you. The stone is also commonly known to evoke images of the water, wind and sky. When worn, this delicate piece of sparkle can create a space of quiet and calm for its owner. Allure and intuition, is what we like! 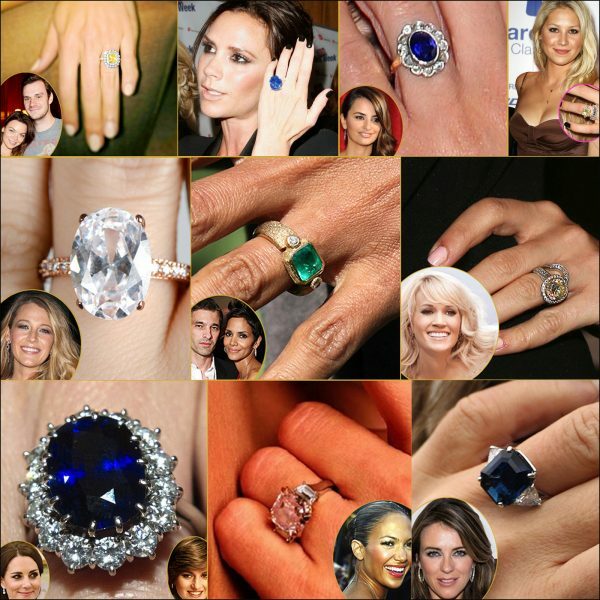 Now we could talk all day about these blue topaz rings but let’s see what the celebs think about these beautiful stones. In recent years there has been a noticeable shift in attitude amongst A-list celebrities towards gemstones similar to a blue topaz. We all know that a girl’s best friend is a sparkling diamond however coloured gems such as a blue topaz continue to make a more prominent fit on celebrities fingers, in particular when it comes to engagement rings. Take for instance actresses Halle Berry and Blake Lively, singers Kelly Clarkson and Jessica Simpson and last but no means least the Duchess of Cambridge, Kate Middleton. Emeralds, pink diamonds, rubies, yellow canary diamonds and sapphires, what all these A-list celebrities have in common is their love for coloured stone engagement rings. These unique coloured candies should be at the top of your wish list! Whether your spouse is planning to get down on one knee and propose (and of course promise to love, honour and obey), surprise you with a special ring to mark that anniversary milestone, or treat you to some jewelry for your birthday, these blue topaz rings are the perfect gift. 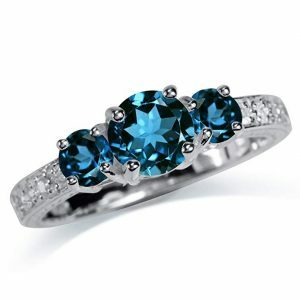 So without further ado, let’s get started with our top 10 blue topaz rings which are all the rage! To start off our top ten list, we thought we’d treat you to a true statement piece of jellewery – a 10k white gold sky blue topaz ring (8.54 carats to be exact). We felt there’s only one word to describe this ring, ‘elegant’! The piece encompasses a classic yet modern design. The 100% natural topaz is framed by a set of sparkling diamonds that will work wonders in accentuating your fingers. To give you an idea of the actual size of this gemstone, it’s 12 millimetres in width and consists of 8.54 carats. 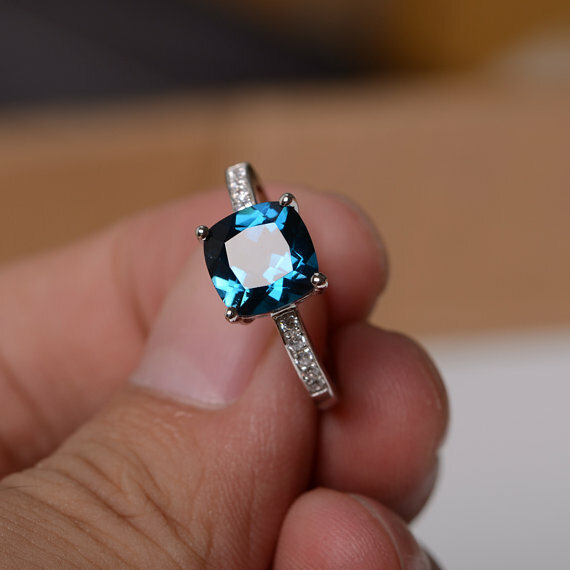 The designer has also chosen to go with a Sky blue toned gem for this ring. If you love the lighter blue colour, this will be right up your street. The gemstone is also surrounded by 8.3 carats of sparkling diamonds. The white gold band is very delicate which makes the stone look even more stunning. 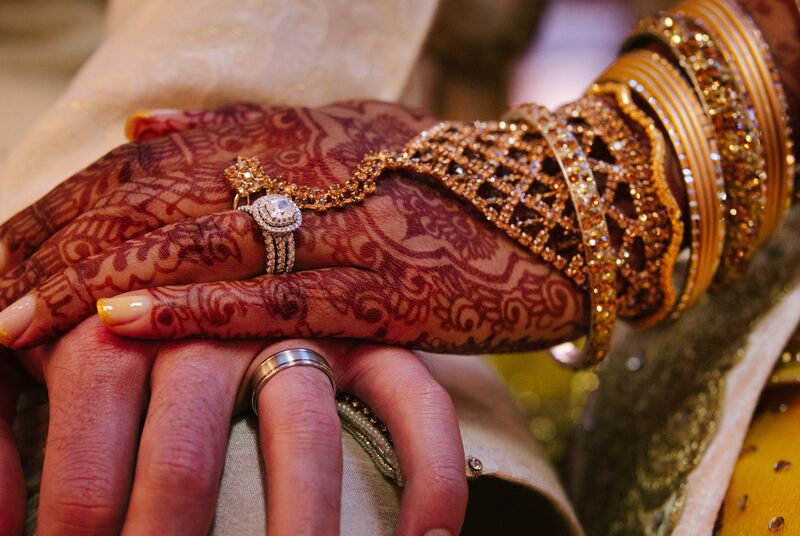 If you’re looking for that perfect engagement ring, this ring is truly memorising! When it comes to a price margin, this ring definitely comes under the higher bracket. Another thing we like about this ring is the packaging. On delivery your blue topaz ring will arrive in either a cherry wood finish box or gorgeous blue branded box, both oozing sleekness. What we love about it is that it’s all about the blue gem. You simply won’t be able to take your eyes of the sparkling square blue topaz. So who are the manufacturers of this one of a kind ring? The company is called Gem Stone King and they specialise in fine gemstone jewelry and diamonds. Established in 1903, this company sells a range of fine jewelry from earrings to bracelets, pendants and engagement rings. They also pride themselves in selling the highest quality jewelry at great value. 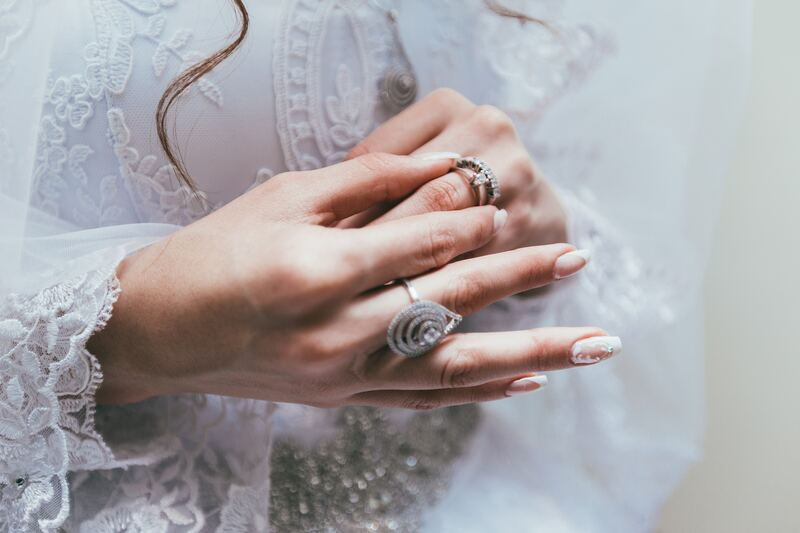 What we love about this manufacturer is that they have years of experience when it comes to jewelry and their rings are made in the USA so you’ll know exactly where you’re buying from. Experienced, reputable and high quality, that’s what we like to hear! Pretty, delicate and attractive! If you like your flowers you’ll just love this lotus flower promise ring. 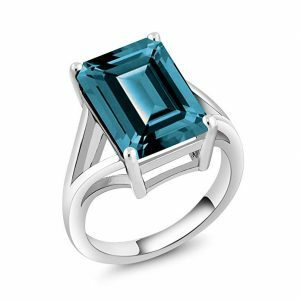 If you’ve got a smaller budget in mind, this sterling silver topaz piece with a shiny rhodium plated band is a great buy. 8mm x 8mm round in size, this blue topaz ring is high quality and sparkles like the aqua blue sea. This lotus flower style ring would definitely make a lovely gift for the lady in your life, be it your girlfriend, wife, mum or daughter. This would also make the perfect anniversary, promise, engagement or wedding band. Even a gift for Mother’s Day, the list of suitable occasions is endless. 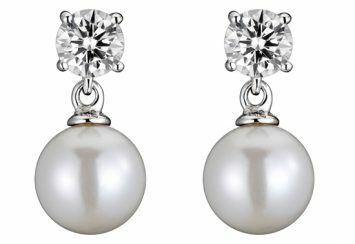 Crafted by Merthus, this jewelry manufacturer also creates earrings and pendants at a bargain price. Why not take a look at their selection of women’s gemstone jewelry. If you love the London blue coloured gemstone and you’re on a small budget, this ring fits the bill. With a more traditional and classic look, this topaz piece models three London blue gemstones in a row. The middle gem, which is slightly larger than the other two, certainly takes centre stage. Made from sterling silver, the dainty band works well in finishing off this timeless look. We think this is a gorgeous piece and would make a lovely engagement ring or birthday gift for the love in your life. The pure elegance and simplicity of this ring shouts celebrity status! Styled in a London blue solitaire cut, you’ll never fade into the background wearing this ring. Not only does the ring ooze elegance but it’s also extremely durable due to the blue topaz composition. Once again, this is another of the classic rings offered by Gem Stone King. 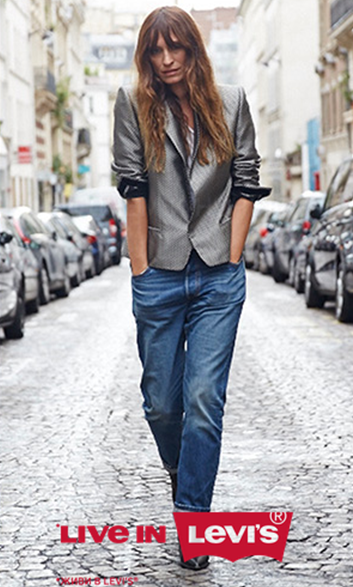 We think it would make a great piece to wear to the office as well as at home, making it extremely versatile. Situated on a sleek sterling silver band this solitaire ring creates a very comfortable fit for your precious fingers and at the same time complements them beautifully. 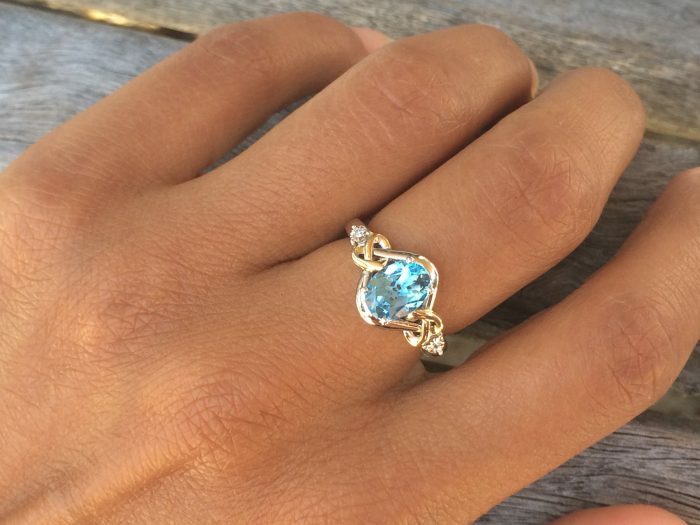 This London blue topaz ring really does deserve a spot in every woman’s jewelry collection. The manufacturer, (Gem Stone King) also gives some great top tips when looking after your blue topaz pieceg. These include, avoiding wearing it on the beach, in the shower or pool. 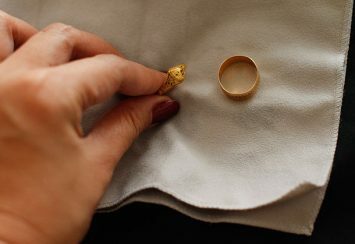 When cleaning, always clean your ring in warm soapy water, that way your beauty will last for years and years! (We like it when a manufacturer includes jewelry care details in their product information as it shows us that they really care and take pride in selling quality jewelry to their customers). Ten out of ten for jewelry and customer care! What makes this piece unique is its swirl gemstone setting which conjures images of bright twinkly stars on a clear winters night! Though, instead of white, the gemstone embodies a light blue color. This gorgeous sterling silver piece is rhodium plated, keeping it extremely shiny. The centre stone is also 5mm by 5mm giving you a stunning sparkle. Surrounding the centre gemstone are smaller individual blue stones decorated in a, yes you guessed it, swirl design. This swirl pattern continues on the band creating a dispersed explosion of blue jewels, complementing the centre gem effortlessly. At a low price this ring is a steal! It would definitely make a great birthday gift for your mother or daughter or equally as a promise or engagement ring for that special person in your life. 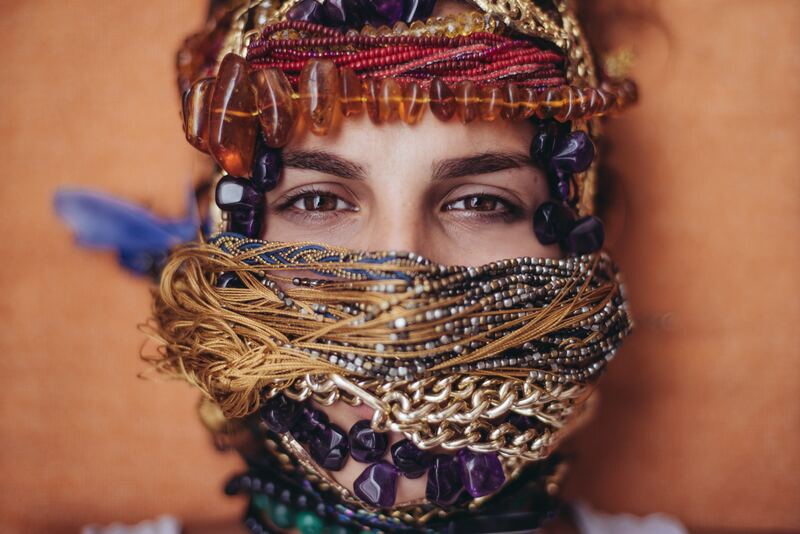 Don’t forget to check out some of the other jewelry created by Merthus. You’ll have endless choice when it comes to rings, necklaces and earrings. Elegant and graceful, this deep blue topaz piece is a statement piece that you must have! This sterling silver ring showcases a beautiful round London blue topaz gemstone. Measuring in at 5mm in diameter this blue gem is illuminated by a collection of smaller diamonds that give this ring that extra bit of sparkle! 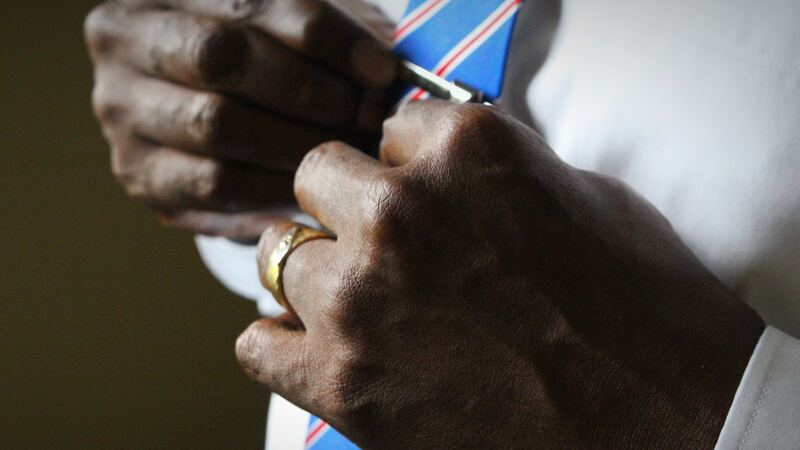 One thing to be aware of is that this ring sits tall on your finger so be careful not to damage it. This classic style piece shouts sophistication and would make a perfect engagement, anniversary or Valentine’s Day gift. Girlfriends, fiancées, wives and mothers, watch out because this stunning ring could be on its way to landing on your finger! 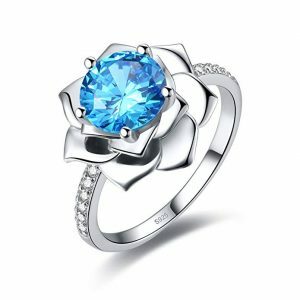 Once again we’ve selected this gorgeous ring from the Gem Stone King collection; they really do have amazing taste when it comes to jewelry, in particular the blue topaz ring. Another thing to point out is that this ring is very inexpensive, so a big thumbs up from us! If we were to describe this ring in one word it would definitely be ‘stunning’. Blue topaz galore! If you just can’t get enough of the blue topaz gemstones and want to wear all three tones on offer, you’ll be very happy with our next pick! London blue, Swiss blue and light blue, we’ve managed to bring you the complete trio in this one gorgeous ring. Three for the price of one, it doesn’t get better than that! This stunning topaz piece features a “stacked-look” design consisting of three rows of blue gemstone, varying in blue tones. The individual blue gems are then stylishly separated by a small diamond. It definitely comes under the larger designer category so if you’re looking for a dainty ring you may need to look at another option within our top 10 line-up. It’s fair to say that this ring may not be everyone’s cup of tea but if you’re on the hunt for a larger than life piece which makes a statement then this is it! It’s important to note that even though this blue topaz ring is larger than the rest of our selection, it is a good weight and the back of the ring provides great comfort for your finger. This eternity piece is all about simplicity. Classed as a Swiss blue topaz colour, we’ve tried to bring you a bit of variety with this choice. We think this certainly offers something a little different! 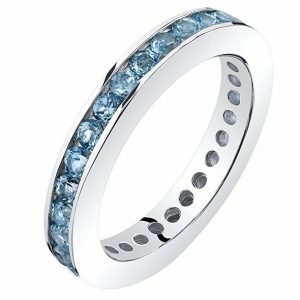 This single eternity band includes 30 individual pieces of Swiss blue topaz gemstones. The ring is made from sterling silver and the design lends itself to a more classic channel setting. This classy ring would be a lovely present for a birthday, Valentines Day, Anniversary, Mothers Day or even as a graduation present for the special lady in your life. This simple ring is also very comfortable and is sold at an awesome price. From their website you can see how jewelry supplier “Peora” loves lots of sparkle. 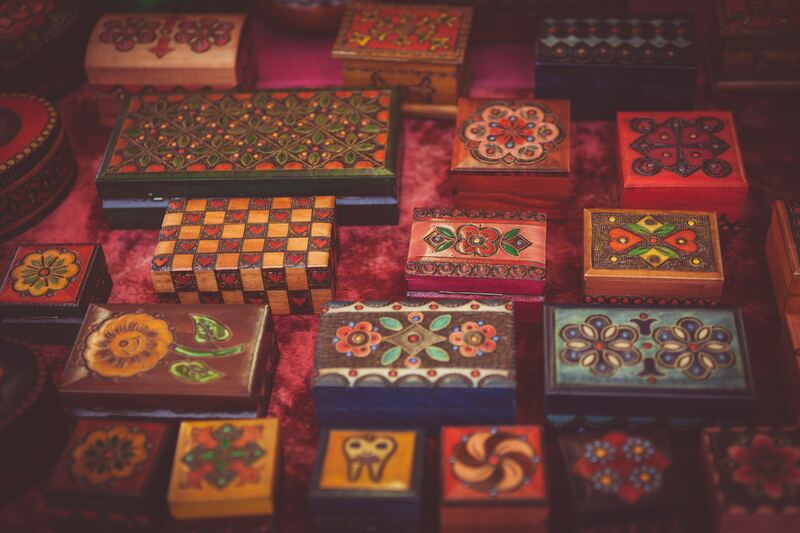 Selling rings, pendants, earrings, bangles, bracelets and necklaces, they offer quite a selection of jewelry for you to choose from, so enjoy a good browse! This blue stone topaz piece with a plain silver band and rose gold detail shows sophistication to the last detail. The sterling silver ring includes a 10k rose gold addition to the band and the London blue topaz gem takes centre stage in this ring. Crafted to a high quality you won’t be disappointed with this little number. The mesmerizing design could also be described as being sleek yet classic with an unforgettable modern twist. Delivered in a beautiful jewelry box this would make a fabulous gift for your girlfriend, fiancée or wife. This design is very fashionable and bang on trend so would make a fantastic addition to anyone’s jewelry collection. What we love about it is that it truly sparkles in the light and the rose gold detail really makes the London blue colour pop out. This gem is over 2 carats so if you’re looking for a smaller ring you may need to look elsewhere. The band is very delicate which balances out and compliments the striking stone. There’s no doubt that this colour of gem is a vibrant blue. We think this ring is simply stunning and is very good value for money. We should also quickly point out that this ring has been designed by our good old friends, the Gem Stone King. Their collection of beautiful blue topaz rings is never ending! As the song goes ‘Love is in the air, everywhere I look around…’. This gorgeous love knot ring will bring that extra bit of love into your life. Romance wrapped up in a beautiful ring is what we like to see and this love knot design is true to those words. This sterling silver piece includes an oval Swiss blue topaz, framed by a yellow gold love knot either side of the gem. This ring also includes a dainty shimmer of diamonds either side of the love knot. The mixture of blue, gold and silver colors really work well in creating this lovely design. Having the combo of silver and gold makes this ring bang on trend. The mix of metals makes this a practical purchase as well as a beautiful one. The ring also gives you a bit of freedom to mix yellow gold with bright silver, creating a great contrast. You don’t want to go overboard with accessories but by encompassing a mixture of metals, this ring will allow you to combine different jewelry in a variety of colors. Mixing and matching bracelets, earrings and pendants will create a unique but classy look. It comes from “The Amazon Curated Collection” which consists of fashion jewelry. They pride themselves in offering a range of diamond pieces and gemstones in keeping up with the latest fashion. They also promote themselves as selling jewelry at an accessible price. That’s what we like to hear! Delivered in a customised gift box the gorgeous love knot ring would make a great romantic gift for a loved one. 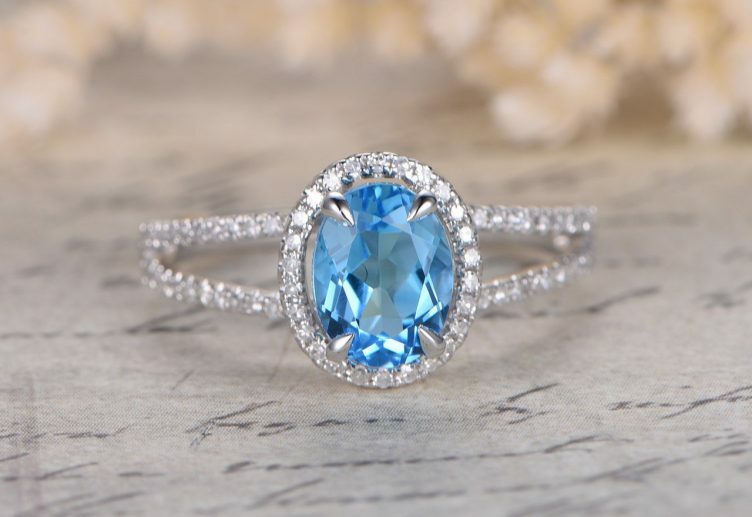 Whether it’s as an engagement ring, anniversary or birthday present we love this flawless blue topaz ring. It’s definitely an elegant piece of craftsmanship. 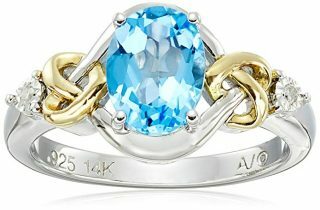 How much should I spend on a blue topaz ring? As you may have already noticed from our top 10 list, these beautiful pieces of jewelry can vary in price from low, medium to high. The price is not only impacted by the size of the stone, but also the tone of the blue stone and the number of sparkling diamonds that frame your gorgeous gem. The reason that you are buying your lovely ring will also play a part in how much you want to spend. Your ring may be given as an engagement ring, a special birthday present or simply as gift to yourself (we all deserve a treat every now and again!). Either way, the price of your ring will ultimately come down to how much you’re willing to pay for it and that decision is something only you can make! Will I have a choice in colour tone when buying on? 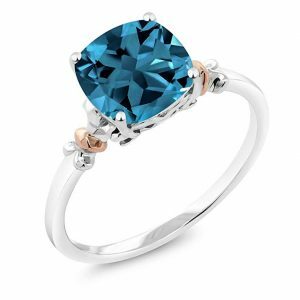 So if you’re deciding on the tone of your blue topaz ring, it really does come down personal preference! How do I assess the quality? At present there is no grading method for checking the quality and value of your stone. Gemmologists alike do however suggest evaluating the different blue topaz stones individually. This evaluation is done by assessing the cut, colour, clarity and carat weight. To avoid any confusion the word ‘clarity’ in this context refers to what the stone does or doesn’t have. The variety of inclusions within the stone and how they may affect it is important (so in layman terms if a stone has a ‘high clarity’ it is free of inclusions). This is a good thing and means it is placed in the highest clarity level for a gemstone. In the order of importance we suggest you look at clarity first, followed by the cut and vibrancy of the colour. So if you’re spending a lot of money on your precious gemstone it’s important to do your research, take your time with buying and purchase from a reputable seller. Where does the word topaz come from? Interestingly, the word topaz originates from Topazos, an ancient island located in the Red Sea. Is there anything I need to be aware of when wearing my new ring? A blue topaz ring is more susceptible to fractures and scratches. Why? Because it has a perfect cleavage which means if it receives a hard knock from the side your beautiful topaz gemstone could break in two along the cleavage line. That’s why it’s so important to look after your precious ring and place it somewhere safe to avoid getting damaged. What’s the best way to clean my ring? 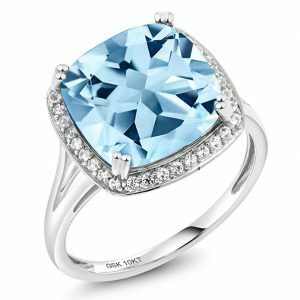 The best way to clean your blue topaz ring is by using a soft toothbrush or cloth along with a diluted mixture of water and dishwashing liquid. The technique is then to soak your ring in the solution for between ten to twenty minutes. Once soaked, you can then very carefully scrub your ring with a soft toothbrush. Take note to avoid using harsh cleaning solutions and don’t use any mechanical or ultrasonic cleaners. Happy cleaning! Did you know that the blue topaz gemstone is the birthstone for December? Traditionally, if you’re celebrating your 4th or 19th wedding anniversary, this beauty is the chosen stone to mark the special occasion. According to industry jewelry magazine ‘Coloured Stone’ the blue topaz stone is the second most desirable gemstone in the world, closely missing out on first place to the beautiful sapphire stone. The blue topaz rates 8 on the Mohs scale. This means that the gemstone is a lot harder than other stones. In comparison, the aquamarine gemstone achieves a 7.5 on the Mohs scale. The topaz stone can also be found in a red, yellow, pink and green colour. 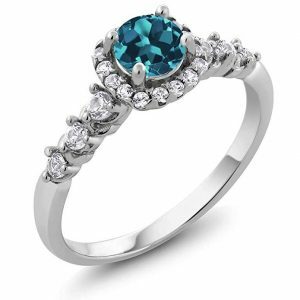 However, on this occasion we’re staying with the blue topaz because it’s gorgeous and we love it!